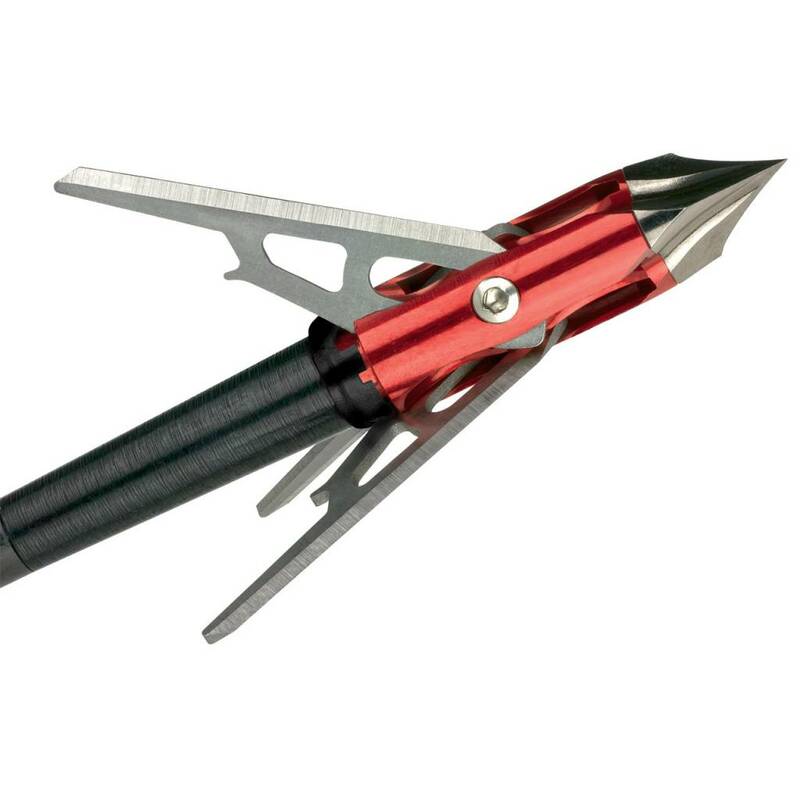 Rear-deploying Rage Chisel-Tip SlipCam 3-Blade Broadheads are fully deployed upon entry, resulting in huge entry holes and wound channels, exceptional blood trails and quick, humane kills. Rear-deploying blades will not deflect like the blades on an over-the-top expandable can on angled hits. 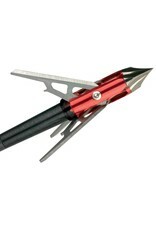 Shock Collars provide a secure hold on the blades until contact with your target. This ensures that all the energy from the shot is transferred upon deployment for devastating wound channels. Streamlined design flies like a field point. Short, stocky ferrule adds strength and durability. 0.35"-thick stainless steel blades. Includes free practice tip. Per 3.